We are excited to offer this luxury training camp for triathletes & cyclists looking to gain fitness, improve skills & spend a fun weekend with like-minded athletes. 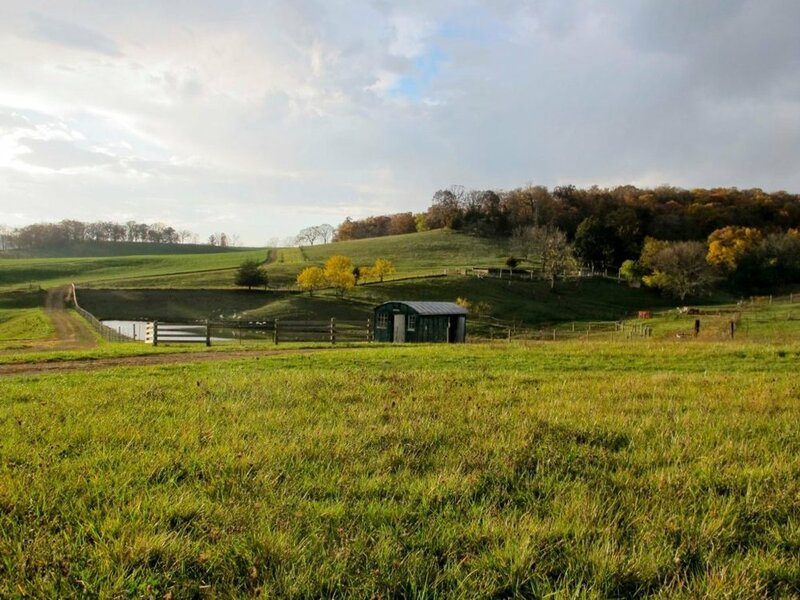 Join our expert INTENT Coaches for an epic weekend of training, coaching & camaraderie in gorgeous Galena, Illinois. Secure your spot at our 2019 INTENT Training Camp now! Imagine a weekend full of great training, informative clinics, delicious food and cool people to hang out with. Sound cool? 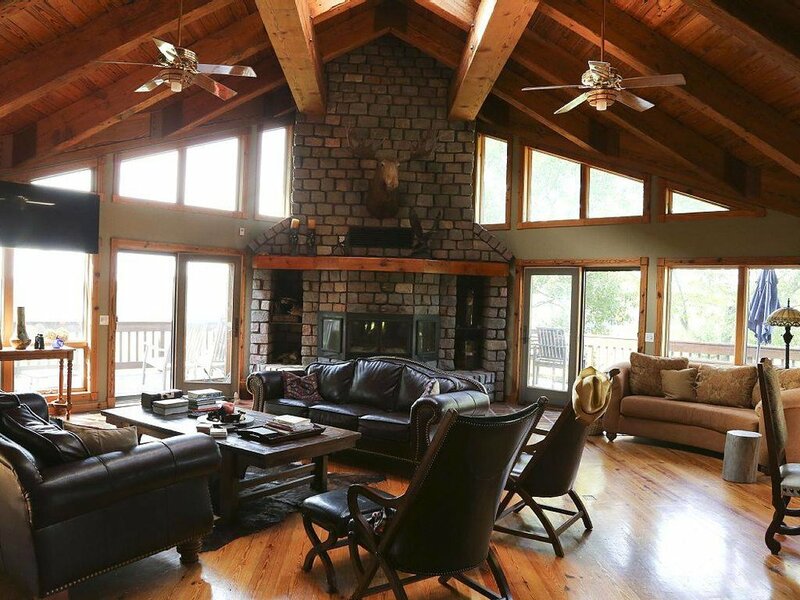 Now picture a gorgeous 300 acre ranch with a beautiful massive lodge sitting at the top of a hill and you sitting outside on the deck with tired legs and a good glass of wine. This weekend is designed to help you get a big block of training, fine tune your skills and increase your understanding of training, sports nutrition and racing. Our INTENT Coaches have a full itinerary ready for you to choose from each day of camp. Supported road rides, clinics, group runs & even swims (weather permitting) are on the schedule. Your days will be filled with quality training sessions where our INTENT Coaches will be on hand to teach, advise & support you. Evenings will be filled with great food (dinner is on site & home cooked! ), informative clinics & of course hanging out with our INTENT Coaches & fellow athletes. What can I expect each day at Training Camp? We have a full itinerary of events all set up for you. 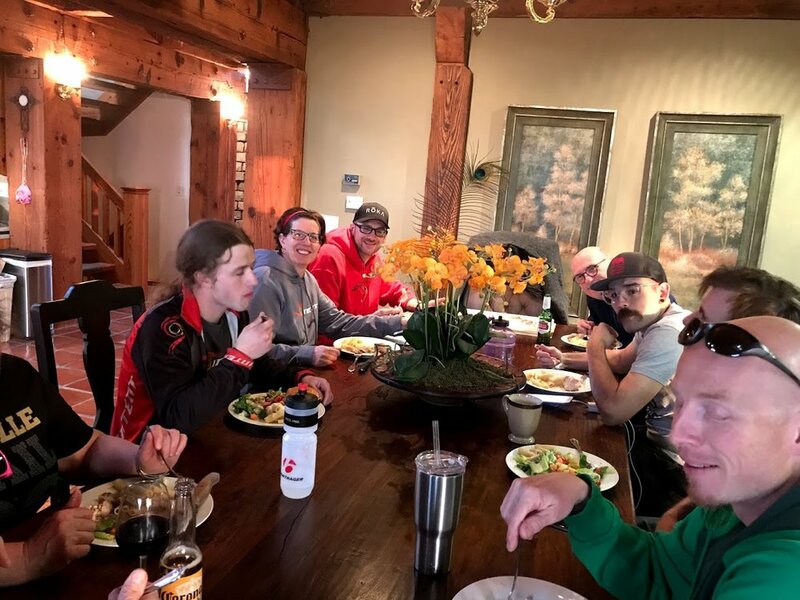 Each day includes a supported road ride, coaching clinics, runs (for our triathletes), time to chill & recover and best of all a delicious dinner cooked on site at the ranch. You can expect to get a LOT of quality training in and you can expect to be tired but happy by Sunday. What is the exact schedule of camp? When do we start on Thursday? Finish on Sunday? Camp begins on Thursday at noon. We will get settled and offer a 2 - 3 hour ride on Thursday late afternoon. If you need to arrive later on Thurs. it is no problem. The real fun begins on Friday morning. The last ride will be offered early Sunday morning for those athletes that can fit in one more ride before they go back home. What are the accommodations like? 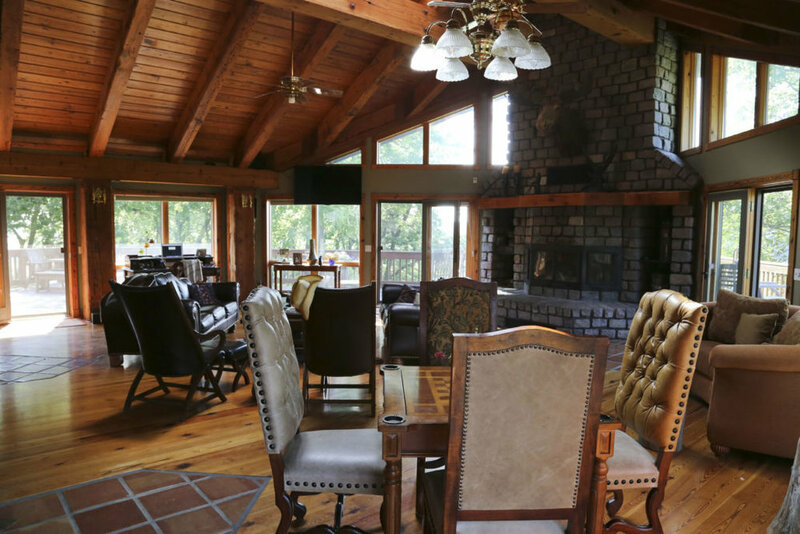 How do I choose & pay for my room if I stay at the ranch? 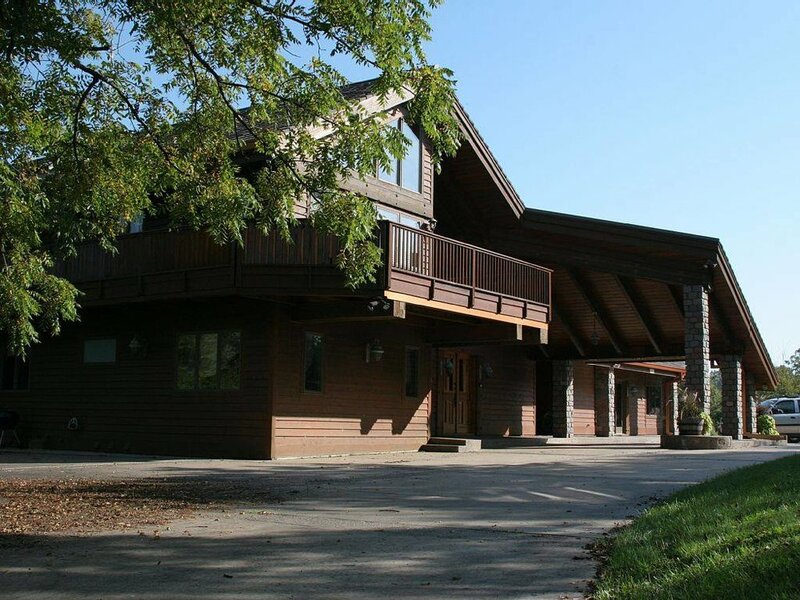 Our camp is home based out of a gorgeous, huge lodge situated on a beautiful 300 acre ranch in the hills of Galena, IL. 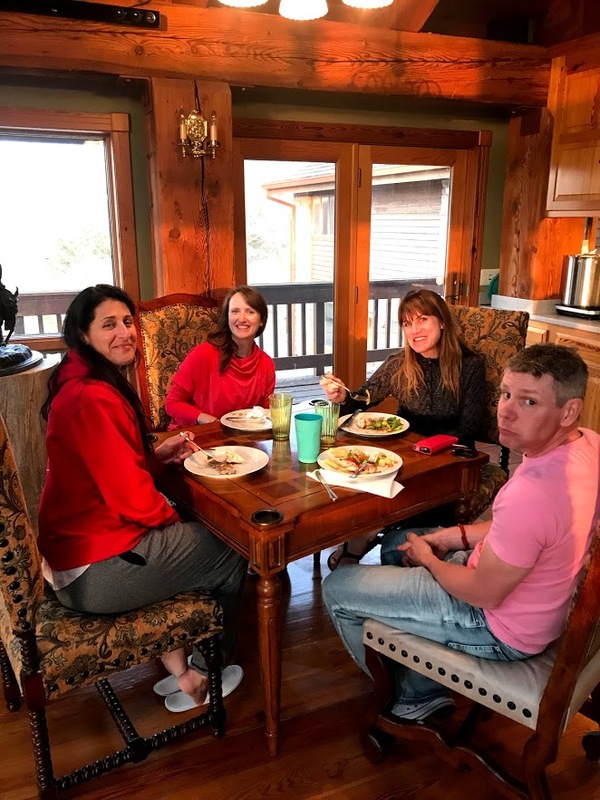 Our INTENT Race team has stayed here for year and it is a stunning lodge with 3 kitchens, multiple common areas, gorgeous decks & beautiful bedrooms. 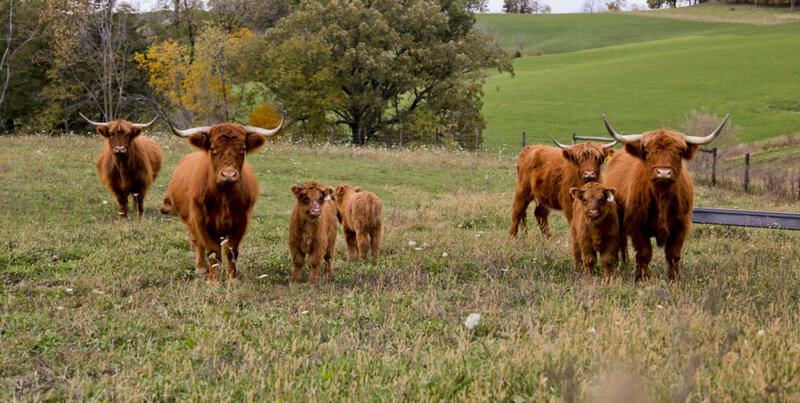 We have access to the full ranch and can wander around as we like. The ranch is home to cattle, peacocks, horse, and more. 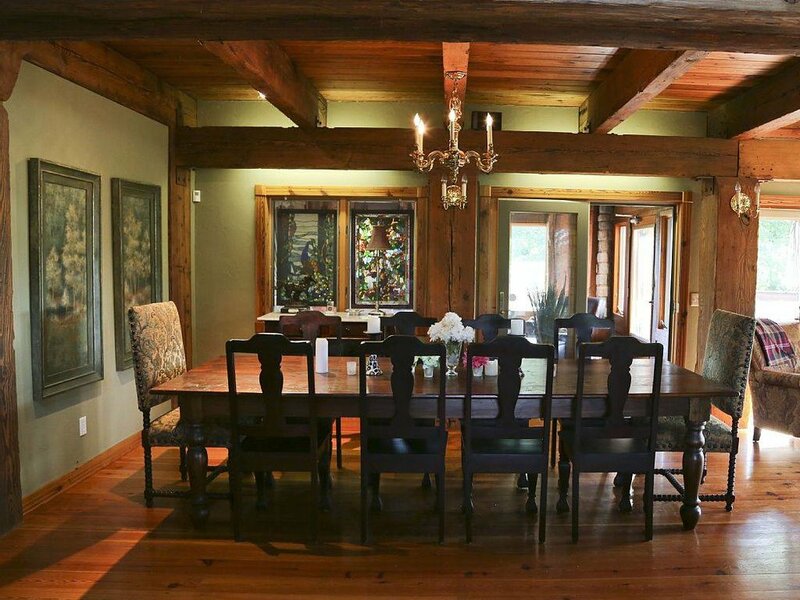 It is a truly epic home and a perfect place for large groups to stay. What level athlete is this camp best suited for? 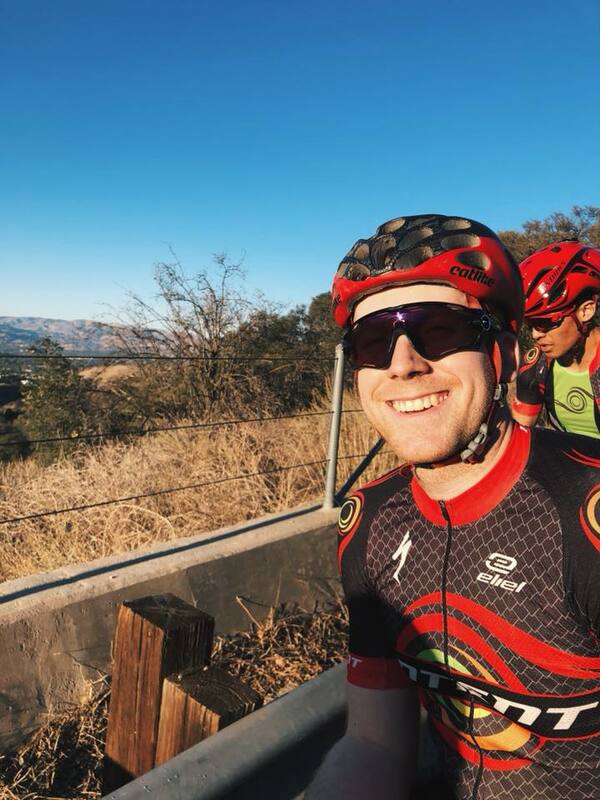 Our 2019 Camp is best suited for athletes who are ready for a big block of training & who are comfortable riding on the road. Campers will have the opportunity to ride from 40 to 80+ miles each day so it is key that you are ready to ride at least 40 miles. Our rides will be supported with SAG vehicles & coaches so if you need support out on the road we will be there ready to help. Is this camp for triathletes or cyclists? It is perfect for both! Cyclists will spend their time on longer beautiful rides and triathletes have the option of adding a run after each ride & a swim if the weather cooperates. There is a “swimming hole” on the property that is just right for a swim workout. What topics will be covered in the clinics throughout the weekend? Our INTENT Coaches will be speaking on Sports Nutrition, How to use Heart Rate and Power for training & racing & more! Talks will be offered during the evening when everyone is hanging out and getting ready for our next epic day. I am not sure if I am ready for a big weekend of training, will this weekend be too much for me? OR I am ready and primed for a big block of training, will the weekend not be enough for me? We will have enough INTENT Coaches on hand to handle different levels of athletes. Everyone will be safe and everyone will be challenged. We will gather detailed information on each camper prior to the weekend and be ready to accommodate different groups. Camp athletes will be provided with a delicious dinner every evening that is cooked & served onsite at the ranch. Prior to camp we will gather any special dietary needs so that everyone is happy & getting a great meal. Breakfast and lunch items are not included so campers bring what they want to eat for each of these meals. Most campers only bring breakfast food since we are usually out training midday. Athletes need a road or triathlon bike, helmet and any other gear for riding miles on the road. Triathletes need to bring run gear and swim gear (including a wetsuit). Swim workouts are weather permitting so we won’t know until we get there if the swimming pond is ready for us. Athletes should also bring spare tubes, sports nutrition, water bottles, sunglasses, sunscreen and everything needed for big blocks of training. We strongly recommend that everyone has a Garmin or Wahoo with GPS and a Heart Rate Monitor to record training data. How many athletes can attend camp? Space is limited to 20 athletes. We expect this camp to fill quickly so sign up as soon as you decide that you want in. Can I attend for part of the weekend? You sure can! We often have athletes come up for part of these weekends. Since we still have to secure your room & save your spot, the camp fees remain the same. What is the cost for this epic training camp? Cost for the camp is just $350 per athlete for the entire weekend of coaching, ride support, clinics and dinners! Housing is additional and based on which bed/room you choose. Bunk Beds start at $275 for 3 nights lodging & dinners. 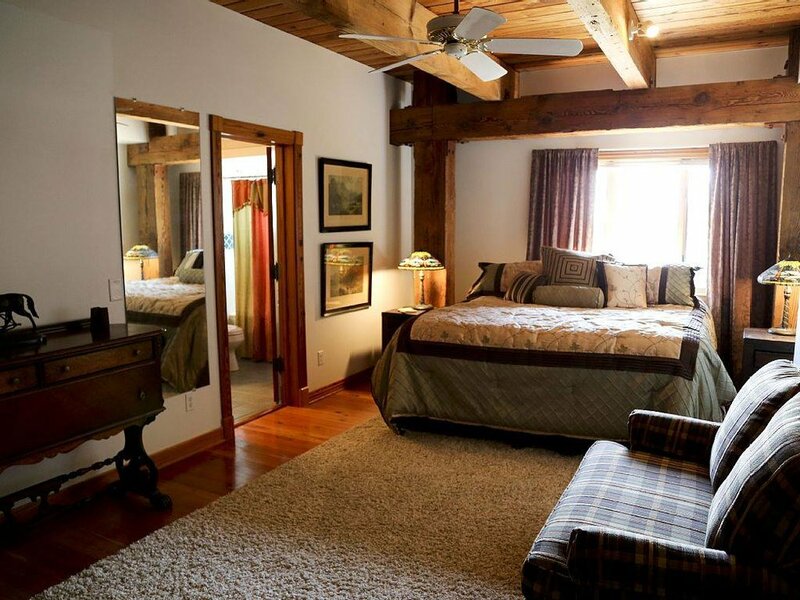 Private rooms start at $450 for 3 nights lodging & dinners. Athletes may choose to share a room (2/room) and split the housing costs for that room. Need more info before you sign up? No Problemo! Just shoot us an email at info@intentlife.com & we will get back to you as quick as we can!